This past weekend we attended the J Concepts INS Series Race at Hobby Action RC Raceway in Chandler, Arizona. The track layout was fast and flowing and developed small bumps which made it quite challenging, the water schedule was every hour for practice but then was changed to every 5 races which made seeding and qualifying very difficult if you happened to get a wet track. In practice my pace in all 3 vehicles I felt was very good and I had a lot of confidence going into the race. 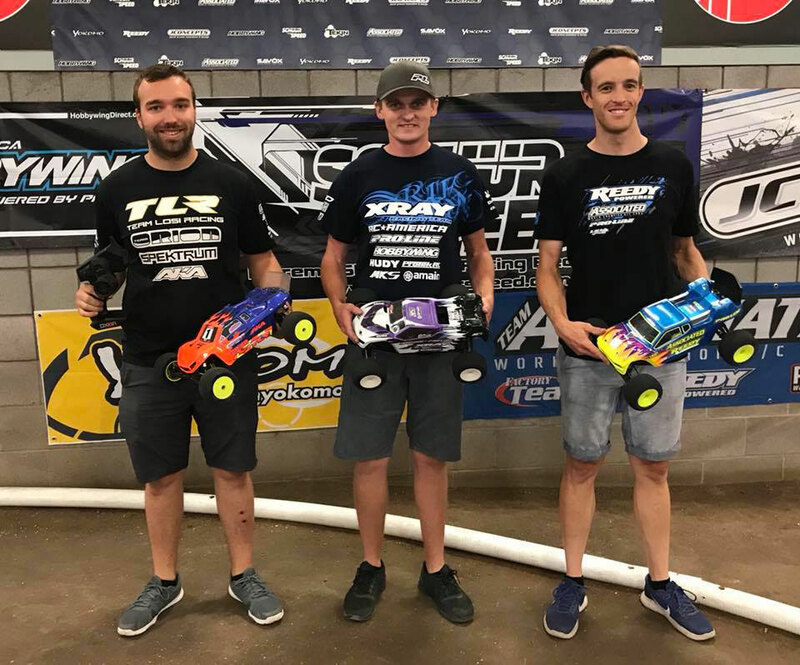 The 2wd and 4wd mains went perfectly for me, I was able to get out in front and stretch out a lead, and I was able to win the first two A mains in both classes to give me the overall win in both classes. I would like to thank all my sponsors for giving me such great products to work with, Xray, RC America, Proline, OS Engines, Hobbywing, MKS, VP Fuel, A Main Hobbies, Protek RC, Hudy, Lunsford, Avid, StickIt 1, Darkside Designs, 110% Racing, MR33, Live RC, Red RC.